Funds help to fuel projects. When you create a project on Spacehive you’re automatically matched with all of the funds that match the same criteria. So a Community Garden project will get matched to a Green Space fund in the same way a playground in Manchester will get matched to our Manchester funds! Get matched, pitch your project and attract additional support from our partners to help bring your project to life. Learn more about pitching for funds here. Explore the funds from our partners below. Part of what makes London special is the jumble of unique, quirky, human places shaped by local communities. Places that are distinctive. Places you want to explore. Places that make you love London even more. This initiative by the Mayor is aimed at creating more places like this – by helping Londoners to crowdfund innovative project ideas on Spacehive. 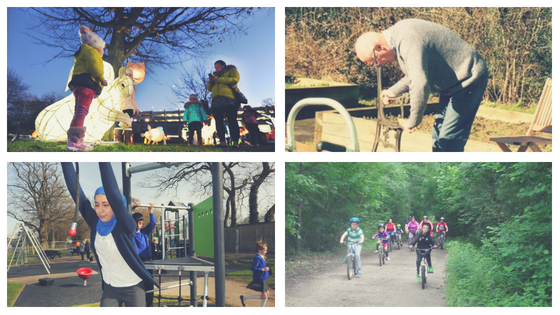 Better Communities is here to support projects which get your community active! From organising a 100 metre sprint on your high street to revamping a 5-aside football pitch. We want to see creative and innovative ideas that enhance greenery across the country, like building a park on a disused rail line in the sky, creating a community garden, or installing a wifi network in a park, whatever you think will make your local greenspace an even better place to be. 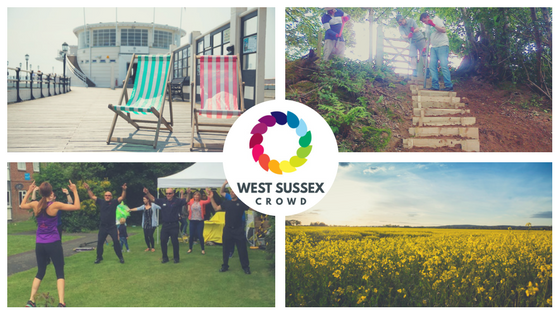 This fund enables West Sussex County Councillors to support local community projects to improve the wellbeing of their local area. This is administered through the County Local Councillor Committee Meetings. We want to back new ideas for creating more vibrant local communities across the United Kingdom. If you are planning a project that brings your community together and have a lasting impact, we’d love to see your pitch. We are looking for great, exciting ideas to make Manchester a better place in which to live, work and play. This pledge pot will support projects in the City of Manchester which have a focus on improving parks and green spaces and encouraging residents to be physically active outdoors. We want to support small projects which will make a big difference to help the community increase reuse and recycling. Could your project engage your neighbours in their recycling service and inspire them to do the right thing with their waste? Do you want to use reclaimed materials to help build facilities the community can use and up skill the local people? Local projects, local change. The Local Connections Fund seeks to support as many ideas as possible and can pledge up to £5,000 to do so. And if your project features recycling, re-using or sustainability elements you could receive a pledge of up to £1000 from the Essex Community Reuse Fund to make your project a reality! 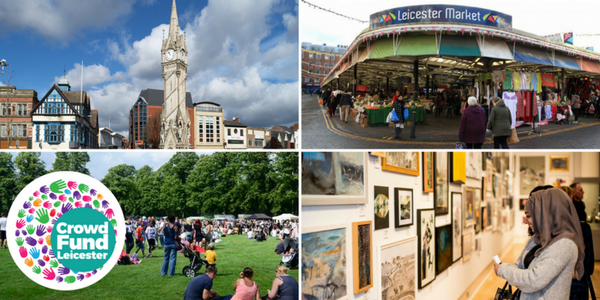 This £100,000 Community Engagement Fund will support projects that can help eliminate discrimination, harassment and victimisation; advance equality of opportunity; and foster good relations between groups and communities in Leicester. 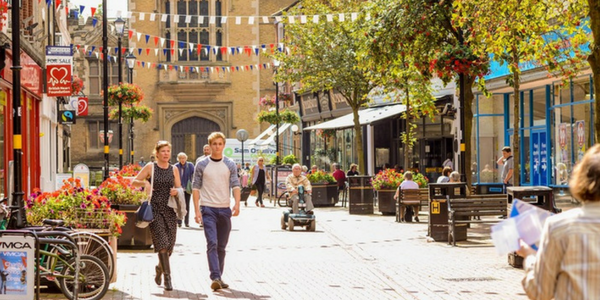 We are looking for projects which transform shared space, inspire visitors and enhance the experience in order to bring more people into our town centres, increase footfall and support the local economy. A capital fund for projects which will enhance, improve, and enliven the town centres across Warwickshire. This fund is available to anyone who lives, works or studies in Barnet. We want to hear about your ideas for improving Barnet’s high streets, residential neighbourhoods, parks and open spaces. Hammersmith and Fulham is offering £200,000 to projects which bring together the local people and resources to make positive changes in their community. If you have a project idea for improving your local area, simply upload it to Spacehive, set your funding target and pitch to the Hammersmith and Fulham Funds to watch your ideas come to life! From music festivals to art installations, guerrilla gardening to pop up markets, if you have an idea to make Aldgate even better, this is your opportunity to make your project idea happen. The City of London also have a £30k fund, with a maximum pledge of £5,000, available to support projects crowdfunding in Aldgate. The Neighbourhood Improvement Fund is part of the Community Infrastructure Levy, which is paid by developers to fund infrastructure, facilities and services to benefit the local community. 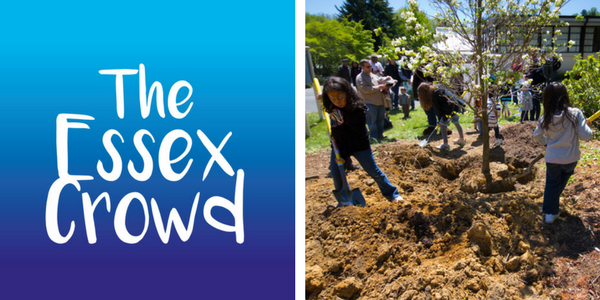 This fund is available for projects running in Crawley Borough. We are interested in funding a range of projects that contibute to the city! Projects must contibute to improving places, spaces or residents’ quality of life. We are particularly excited about projects that are bringing something new to the city. The council would support those projects which make a significant contribution to the delivery of the corporate plan, deliver skills and or contribute to efficiency outcomes. The MakeHull Pioneers are a group of Hull businesses who have come together to support making Hull the best city it can be. We will be pledging up to £5k to the best crowdfunding campaigns. We fund projects which celebrate the local area’s culture and heritage; improve health and well-being in the local community; or improve economic opportunity in the Kensington and Chelsea area. Exeter City Futures Impact Fund is looking forward to supporting projects that have been designed by community groups and individuals to address local problems around congestion and energy use. Our new initiative, Spaces for Change is about improving unused or under used spaces within a community. We want to find, fund, support and connect with young people aged between 16 and 24-years-old. The Redbridge Community Fund is available to support projects in the Redbridge area. 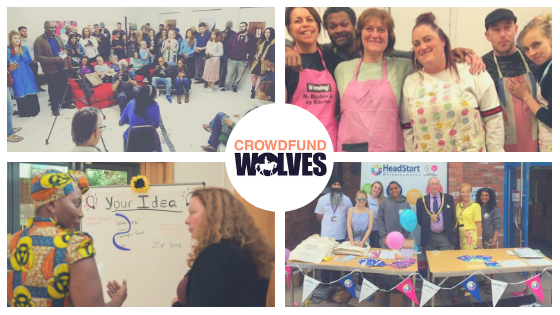 Crowdfund your event right here on Our Big Gig’s Spacehive page and get a £200 pledge from us!